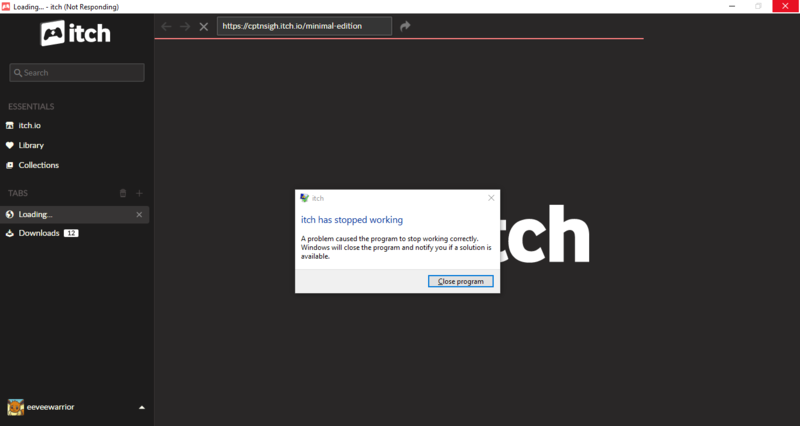 itch.io Community » itch.io » itch app Development · Posted in itch.io crash? 2. How should I send it? Copy paste it here? 5. Nothing that I can think of. itch.io Community » itch.io » itch app Development · Created a new topic itch.io crash? Today I recieved a prompt to update itch.io to a new version so I could continue using it. After updating, it works fine for the most part, but seems to randomly stop working and crash.